1) Choose your current location through GPS or input your location manually with name of the source place and phone number. 2) Optional: Users can input the destination auto or manually with destination name, addresses, and phone if applicable or continue your search for destination on the Map. 3) In case rider chooses to select his destination address on Map then will be having the option to location point on a particular destination of place. 4) It will show you the map of your current location and a timer will be blinking and message will be said searching for nearest taxi. 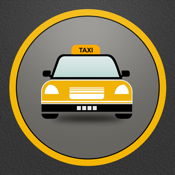 5) Then it can use push notification for notifying the taxi rider about the nearest taxi driver. 6) On tapping the view button of Push Notifications, the rider will be shown the details of the taxi driver including the duration when he will reached. Disclaimer : Continued use of GPS running in the background can dramatically decrease battery life.